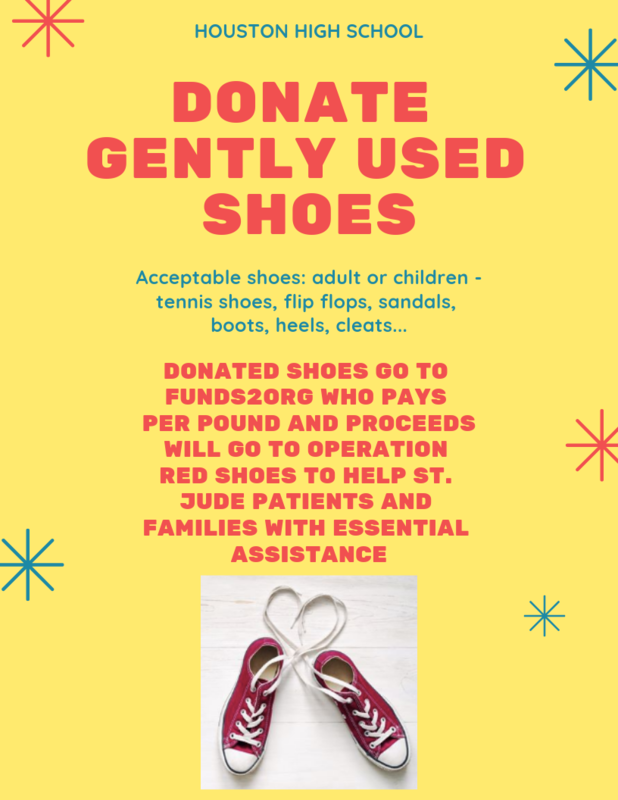 Germantown, Tennessee--March 25, 2019--Houston High, Farmington, and Riverdale are having a shoe drive! Shoes will be picked up by Funds2Org, a for profit organization, who will redistribute to microenterprise partners and used in developing nations for impoverished people to start their own businesses. Funds2Org will pay per pound and send a check to Operation Red Shoes (on behalf of GMSD), a non-profit organization, who benefits St. Jude patients and families with essential assistance. Once Operation Red Shoes receives a check, they will host an event for those involved to be a part of the giveaway to the St. Jude patient and family.